Every year, I bemoan the number of crappy cookbooks that find their way into print, most of which aren’t worth the time and effort to get them to the recycling bin. But then, every year, I am also surprised to find a few among the thousands published that are, if not quite indispensable, at least worthy of the paper they’re printed on. Here are my favorite cookbooks from the past year. Some are indispensable; others are just worthy of becoming part of your kitchen collection. 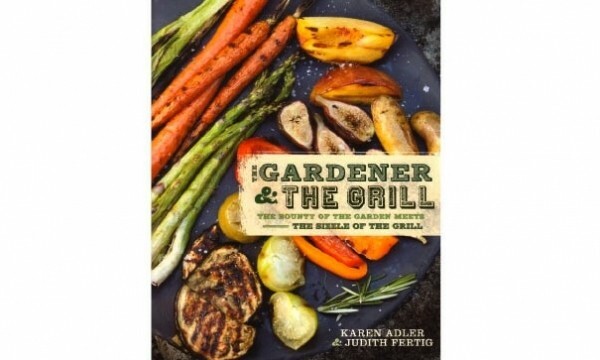 Among the better books about grilling and barbecue was The Gardener & the Grill: The Bounty of the Garden Meets the Sizzle of the Grill ($20), by Karen Adler and Judith Fertig. Taking what the authors call a “seeds to sizzle” approach, they share techniques like how to grill-roast, stir-grill, slow-smoke and plank-roast, along with recipes ranging from wood-grilled spring onion, Brie and Kalamata-olive pizza to skewered strawberry and marshmallow s’mores. Meat, poultry and fish lovers, don’t fret: There’s a chapter for you, too, including a terrific recipe for grilled salmon in corn husks. Wicked Good Barbecue ($21.99) by Andy Husbands and Chris Hart is, well, wicked good. The book’s subtitle says it all: Fearless Recipes from Two Damn Yankees Who Have Won the Biggest, Baddest BBQ Competition in the World—that being the prestigious Jack Daniels World Championship Invitational Barbecue. The recipe for “smoke-vide” beef ribs with Blues Hog foam alone is worth the price of admission to this celebration of barbecue. What could be more trendy in the food world than food trucks? Keenly aware, food writer John T. Edge assembled 150 Recipes & Ramblings from America’s Best Restaurants on Wheels in The Truck Food Cookbook ($18.95). Along with enticing recipes from food trucks around the country, Edge also explores the economics of the food-truck business. It’s a moveable feast. Another food trend of late is the ubiquity of burgers. Fancy-schmancy restaurants that five years ago wouldn’t have dreamt of having ground beef in the kitchen are now selling sliders to customers who can’t get their fill. Well, if you’re in a burger rut, I suggest turning to the compilation of 100 dynamite recipes in The Burger: An Action-Packed Tasty Adventure ($9.99) from the editors of Love Food. In addition to both traditional and exotic burger recipes, like the chili burger and pork banh mi burger, there are also useful instructions for making accompaniments such as guacamole, homemade ketchup and mustard, tartar sauce, mayo and more. For anyone interested in kosher cooking, celebrated cookbook author and international kosher food expert Susie Fishbein shares her secrets of successful kosher cooking and cuisine in Kosher by Design Cooking Coach: Recipes, Tips, and Techniques to Make Anyone a Better Cook ($36.99). There’s a complete tutorial about kosher meat and chicken, essential kitchen equipment for kosher cooking, and much more. Recipes like those for cumin-marinated London broil and sweet spaghetti squash kugel are spot-on the delicious. For the estimated 15 million Americans with food allergies and the 30 percent with gluten intolerance, Allergy-Free & Easy Cooking ($22) by Cybele Pascal might be a godsend. The book is centered around 30-minute meals without gluten, dairy, eggs, soy, peanuts, wheat, tree nuts, fish, shellfish and sesame. That might seem like it doesn’t leave much for a cook to work with, but recipes like those for quinoa- chickpea lettuce cups and lamb kofta kebabs won me over. Books from big-name chefs are always welcome under the Christmas tree, and 2012 delivered a handful of very good ones. First up, there’s Bouchon Bakery($50) by the great Thomas Keller and Sebastien Rouxel. Like every other Keller cookbook, this one is both beautiful and flawless. You can take these recipes—like the one for French-style baguettes—to the bank. Another Keller delivered this year, too. Frenchman Hubert Keller’s Souvenirs ($50) is a wonderful collection of Keller’s—whose San Francisco and Las Vegas Fleur de Lys restaurants I adore—memoirs, including musings of growing up in Alsace and working with celebrated French chefs like Paul Bocuse, Gaston LenÃ´tre and Roger Vergé, before adapting to working in places like South America and the United States. Finally, my very favorite chef has always been Jacques Pépin, and in Essential Pepin($40), he gathers up 700 of his “all-time favorites from a life in food,” including simple but sensational classics like grilled chicken with tarragon butter and his take on the bistro classic steak au poivre: five-peppercorn steak. Among the best cookbooks dedicated to international cuisines is The Country Cooking of Greece ($50), by Diane Kochilas. Although she’s written other books about Greek cooking, this is by far her best, an indispensable resource for American lovers of Greek food featuring readily available ingredients. Andoni Luis Aduriz is one of Spain’s most influential chefs, and his restaurant Mugaritz is considered to be one of the world’s best. With Mugaritz: A Natural Science of Cooking ($49.95), Aduriz takes us inside his innovative kitchen, where his avant-garde cuisine is often mind-blowing. A warning, though: This is not a book you want to give to beginner cooks. Many of the techniques required to execute the recipes are very advanced. Another foray into exotic eats lies within Hugo Ortega’s Street Food of Mexico ($34.95). Now Houston-based, but originally from Mexico City, Ortega provides recipes for tacos, dulces, tlayudas (something I’ve been searching cookbooks for years), cocteles and more, accompanied by gorgeous photography from Penny de los Santos. We’ll finish up with a couple of useful books focusing primarily on American cuisine. Joanne Weir has long been one of my favorite cookbook authors and TV cooks, and her new Cooking Confidence: Dinner Made Simple ($24.95) is a perfect example of why. Her recipes are always spot-on, and her tips and advice for things like making perfect couscous, contrasting flavors in salads and how to truss a game hen are invaluable in the home kitchen. During the holidays, you may decide to host a brunch for friends or family. Well, Betty Rosbottom is here to help with her very practical Sunday Brunch: Simple, Delicious Recipes for Leisurely Mornings ($19.95). It’s all there, from eggs Benedict and 10-minute blinis, to Irish coffee and mimosas. Of course, you don’t have to limit your brunch bunch to Sundays only. How about a Christmas Day brunch?